In love with books and reading for as long as she can remember, Valerie J. Morehouse has never regretted pursuing library science. 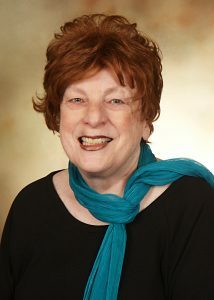 She started by obtaining an Associate of Arts from Taft College in 1966, a Bachelor of Arts in English from the University of California, Berkeley, in 1968, and a Master of Science in library science from Simmons Graduate School of Library and Science in 1977, and continued on to become a certified professional librarian in the commonwealth of Massachusetts. Degrees in hand, Ms. Morehouse joined Plymouth Public Librarians as an assistant librarian and director, and she advanced rapidly from there. Other positions include assistant executive director of the Southeastern Librarians Cooperative, librarian automation consultant for the North Dakota State Library, district librarian and media director for the Bismarck Public School District, and systems administrator for MARINet. Her most recent role was librarian for Temple Isaiah of Contra Costa County and the Temple Isaiah of Contra Costa County Day School. One of the highlights of Ms. Morehouse’s career was being a columnist for the American Library Association Booklist. She was also proud to author “Pleasanton Poetry” in 2008 and “Anthology: A Collection of Cape Cod Poets” in 1974, and to serve as an editor and writer for “A Word to the Wise.” Looking to the future, she hopes to publish another book of her poetry. ​As a testament to her hard work, dedication, and talent, Ms. Morehouse earned the President’s Award for Service to Librarians from the North Dakota Librarian Association in 1994, a Special Recognition Award from COSMEP in 1977, and the Cape-wide First Prize for Poetry from the Provincetown Association for Living Arts in 1972. Her achievements were highlighted in numerous editions of Who’s Who in America, Who’s Who in the World, and Who’s Who of American Women. She attributes her success to never quitting. In her free time, Ms. Morehouse enjoys gardening, traveling, and helping out in her community. She has been a member of the Central Dakota Library Network Board since 1992, and was previously a member of the North Dakota Governor’s Advisory Library Vision and Beta Phi Mu, an advisory panelist for literature for the Massachusetts Council on Arts and Humanities, the legislative chair and membership chair of the North Dakota Library Association, and the chair of the publications committee of the American Library Association.